As a recruiter, this statement relates to your work as you strive to avoid the cost of a bad hire while instead, pinpointing the candidate that will enable the workflow to flourish. In other words, if you’re looking for lightning, you do not want to hire an insect. Often times during the hiring process, however, an unqualified or unsuitable candidate ends up getting the job. The results of this are exponential, and can manifest as conflict between employees, a negative mindset in the workplace, poor attendance, high turnover, diminished sales, stifled productivity or potential lawsuits. According to the U.S. Department of Labor, the average cost of a bad hire is approximately one third of that person’s salary for their first year. Using this model, if an employee is hired on a salary of $80,000/year and they have to be dismissed, the loss to the company is over $26,000. A recent article by Forbes reports that aside from the tangible financial fallout from hiring the wrong person, there are other unseen factors that are just as detrimental. Productivity and morale can suffer long term along with client relations and public image. The costs of playing referee between workers, dismissing problem employees, or hiring new talent and training them far outweigh the cost of the time it takes to hire the right person from the start. You can do this by implementing comprehensive hiring assessments that measure every dimension of a candidate’s aptitude in relation to the position at hand. It is also possible to compare a candidate’s applicable strengths to those of other potential hires and to demonstrate how an individual’s personality will most likely interact with other staff. The key to obtaining this information lies in re-thinking the recruiting process, and by going about it using a systematic, proven set of tools to avoid bad hires. Upon initial contact, a candidate will undergo an assessment that will evaluate their strengths and abilities. These questions will measure numerical skill and reasoning, verbal skill and reasoning, conformity, assertiveness, sociability, pace, accommodation, outlook, decisiveness, independence and judgement. This information is then aggregated, assimilated and processed into a series of reports that enable you, as a recruiter, to gain crucial insight into a candidate’s strengths and potential future with your company. Before the interview process continues, you can assess with efficiency and relative certainty if spending more resources grooming an applicant is warranted or if the person is simply not right for the position and would be a bad hire. The Comprehensive Selection Report is the primary hiring report generated by the PXT Select Hiring Assessment tools. It provides a summary of an applicant’s results as well as where they fit within a range of scores that indicate success in a particular position. These metrics give you tangible measurements of a candidate’s strengths concerning verbal skills, numerical ability and reasoning capacity. 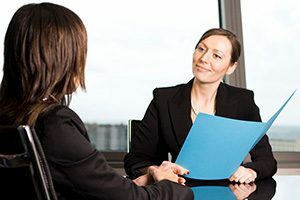 An applicant who performs well here can move on to the next interview, in which the interviewer is aided by the personalized interview questions based on areas of concern found in this report. You can consider this the initial recruiting solution that flags would-be bad hires while pinpointing those who could become assets to the company. Someone who performs poorly here does not move on, plain and simple. The Multiple Positions Report helps determine where a candidate will fit best in your company. This report summarizes a candidate’s tests results in relation to multiple positions, as well as their potential for success in those areas. These results are based on their interests and their scores in numerical skills and reasoning, verbal skills and reasoning and several other parameters. This report summarizes a candidate’s tests results in relation to various job roles. When you are recruiting with the intention of avoiding bad hires, this step allows you to ensure that you do not put the right person for the company into the wrong position in the work flow. The Multiple Candidates Report allows you to compare all candidates for all positions with one another to see which set of strengths is going to benefit your company the most. You can evaluate the vocabulary, problem-solving potential and reasoning abilities of every applicant and assess their potential based on interest and the range of scores that indicate success in any given position. This allows you as a recruiter to avoid having to rely on gut instinct or the flip of a coin to choose two seemingly identical candidates, and instead, move forward with confidence by measuring and comparing actual data. Next, the PXT Select Hiring Assessment Toolbox will provide you with several more reports about a candidate’s thinking style and how their strengths relate to those of their future manager. These metrics provide insight as to how the two will work together, particularly by highlighting similar areas of interest that can spark constructive communication and camaraderie. Additionally, a Team Report is provided that demonstrates how a potential recruit is going to fit in with the rest of your personnel, giving you reassurance that a promising individual is not actually a bad hire in disguise. Finally, a Performance Model Report provides an outline of the ideal traits a potential candidate would display should they be optimally poised for success in a given position, allowing you see at a glance if a candidate is worth pursuing. If you are looking to hire the right person for a position in your company, consider the PXT Select Hiring Assessment tools. This recruiting solution enables you to maximize your hiring efforts through detailed analysis and graphics while avoid the exponential costs of bad hires.